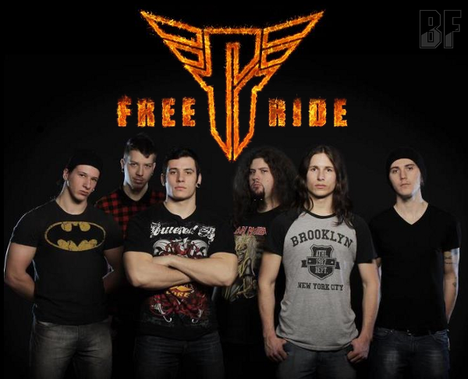 Croatian young metal band FREE RIDE was formed in Zagreb, has released their first EP "All The World Ignores" contains 4 tracks on September 13th. Also they posted the first video for "All The World Ignores" from the EP. Every member of the band has been playing an instrument since elementary school so it was natural that they should all wind up in bands sooner or later. Driving by Chicha's and Ivan's ferocious riffs, Ante's thunderous drumming, Marko's solid bass lines the band plowed through heavy metal anthems, Marin's melodic keyboards touch and a versatile, classically trained musician and a talented singer Pavao filled the spot perfectly. Mixed ans mastered by Kristijan “Chicha” Markusic on guitar and the cover artwork was done by the band members themselves. 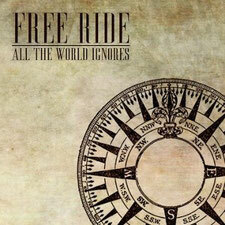 The EP "All The World Ignores" is now available at the band store on facebook.